We at Inzinc Consulting India believe that a job aspirant always must have an up-to-date and a complete Resume (CV) that can reflect his profile in the right manner and attract the attention of job advertisers and interviewers who will be tempted to call the candidate for a job interview. Hence, we request you to approach us for resume preparation in bangalore or updating your resume so that you can present the RIGHT PROFILE for the RIGHT JOB and thus kickstart your career or improve your present profile to create better job opportunities for yourself. We therefore provide Professional Resume Writing Services (CV Writing Services) in Bangalore that gives you the right weapon to lanch your Professional Career. Our Resume Preparation Services (Resume Writing Services) in Bangalore offer Resume Writing for all types of individuals irrespective of their discipline and level of education and experience. The layout of the Resume also will be very important so that your Curriculum Vitae looks Professional, informative and lucid. While writing Resume for fresher candidates who wish to apply to their First Job, we probe them to understand their vision, their goals, their inclination to work in specific fields of interest, their qualifications, Educational excellence, extra-curricular, etc. This provides us with useful insights while writing a Professional Resume for the fresher candidates. We prepare a proper Covering letter if necessary for the candidate along with the Resume so that he/she is presented to the prospective employers in a professional manner. Working Professionals will already have their resume. We will analyze their current resume, suggest the gaps from the way a professional resume looks, get the relevant details to fill up these gaps and then form the New Professional Resume. At Inzinc Consulting India we have firm belief that a job aspirant always should be represented to reflect his/her true professional self. This essentially needs a professionally written Resume or Curriculum Vitae that can attract the attention of job advertisers and interviewers. We request you to contact us for Resume writing services in India or updating your existing resume so that you can present your RIGHT PROFILE to prospective employers which can Jump start your career or can improve your current profile for creating better job opportunities. Inzinc provides Professional Resume Writing Services in India that gives you the right tool to launch your Professional Career. We also ensure an attractive layout for the Resume to make it look Professional, informative, simple and clear. Our Resume format and resume templates are appealing and attractive. Our Resume writing experts in India can personally counsel the candidates and give good resume writing tips (CV writing tips). Distance does not matter for the delivery of our Resume Writing Services in India. You can send us your current resume, we will do an online analysis of the same and once the advance payment is made through online money transfer into our bank we shall ask you to send across additional details missing in your existing Resume. We then build your NEW PROFESSIONAL RESUME. 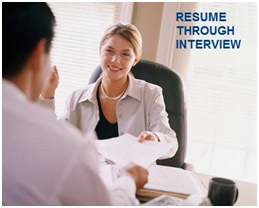 Our experts will analyze your resume and figure out the gaps compared to a professional resume. 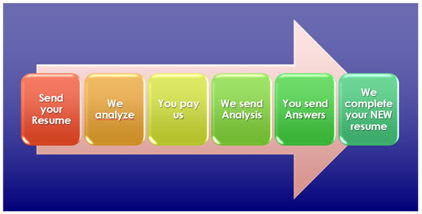 Inzinc is India's leading Resume writing company. We are the recommended resume building experts for writing resume for top level professionals, mid-level professionals and lower cadre professionals. The Resume writing experts at Inzinc provides Resume Writing services in Bangalore through personally interviewing the candidates and getting the information enough to prepare a professional, simple, appealing and adequate Resume. We provide Resume Writing Services in Bangalore only. If distance is your problem, we can build your Resume Online. Our Resume Preparation Experts probe you through the interview session to understand your goals, your vision, your skills, strengths, experience, education, etc and will write the resume in your presence. However, for this you must provide all the relevant details asked by our Resume writing consultants during the Interview. It is recommended by many resume experts that the resume writing should be tailored for the specific job for which the applicant intends to focus. Keeping the Resume general may not attract many employers since they will have to search for the skills that you may have. The Employers rather prefer a resume that clearly indicates the specific job. This way decision by the employer can be fast and easy. We therefore build your resume focused in the job that you have in your mind. 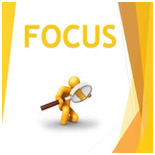 It is important to that those skills that focus on your target job be highlighted in your Curriculum Vitae. jobs. Covering letter is written at extra cost and is not included in the Resume building service cost. WHY DO YOU NEED A GOOD RESUME ? To get Interview calls: The goal of a Resume is to get Interview Calls. With a good resume you can attract the attention of prospective employers who may call you for a telephonic interview or a face to face interview. To EXHIBIT your strengths and skills: With a professionally written Curriculum Vitae, you can exhibit your strengths and skills that are required by your prospective employers. To STAND OUT from the crowd: With a professionally written resume, you can edge out your competition and enhance your chances of being called for an interview. To SELL YOURSELF: With a good resume, you can sell yourself in the best way to your prospective employers. The CV can therefore be a MARKETING TOOL ! Increase Job OPPORTUNITIES: A smart resume can increase job opportunities by fetching you more interview calls than before. Take you out of the DEADLOCK: If you are stuck in your current job, a well written resume can get you out of the job and provide you with a better job or a dream job. WHY CHOOSE US FOR RESUME WRITING SERVICES ? Resume writing through Personal Interview where our Resume experts probe and discuss your career goals, achievements and other relevant information. One free revision after delivery of the completed resume. We ensure Privacy of your Resume and will not send the information to anyone other than you. In our customer's top of the mind, Inzinc is one of the top rated resume writing services companies in India. Our Resume Writing Experts provide Resume Writing Services in Bangalore (Bengaluru), Ahmedabad, Belgaum, Bellary, Bhubaneswar, Bhopal, Chennai, Chandigarh, Coimbatore, Cochin, Delhi, Delhi NCR, Dharwad, Gurgaon, Hosur, Hubli, Hyderabad, Indore, Jaipur, Kochi, Kolkata, Kerala, Karnataka, Lucknow, Ludhiana, Mumbai, Mysore, Navi Mumbai, Nashik, Nagpur, Noida, Pune, Raipur, Rajkot, Shimla, Shimoga, Thane, Trivandrum, Tumkur, Vadodara, etc. 100% Payment needs to be made in advance only after which we can start the work on resume writing. The payment is non-refundable. Inzinc Products and Services holds the right to revise resume writing charges without any prior notice. Inzinc Products and Services reserves the right to deny the resume writing service at its discretion to any individual/s without actually giving any reason/s. In such a case if payment is made by the candidate, Inzinc Products and Services will refund the amount. In case you deposit cash in our bank account, any additional charges incurred by us due to the cash deposit will have to be borne by you (the applicant) of the service. Inzinc Products and Services reserves the right to a delay in delivery of service due to emergency situations or exigencies or factors which are beyond our control. So, by availing our Resume writing services, the applicant is ensuring that Inzinc Products and Services will not be held responsible or liable for reasons that are not under our control. Inzinc Products and Services is not responsible for any sort of damage by using our resume writing service. The maximum liability shall be only limited to Inzinc refunding the amount received from you for developing your resume. Dealing effectively with Job Interviews is something that everyone of us will be looking at to get to that DREAM JOB that we are targeting in our job career. Do some homework about the Organization: Before the interview, take time to go through the website of the Organization to find out what the Organization is into, what are its goals, what is its Organization culture, its values, and any other information that can throw some insights to help you frame winning strategies. Be thorough with your Resume (Curriculum Vitae): Read your Resume thoroughly to avoid any surprises caused due to any of the information contained within your resume. 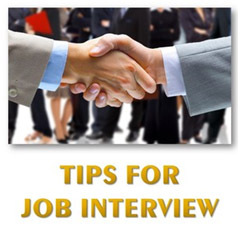 Anticipate questions that can come from the interviewers who will read through your Resume. Be Confident: Be confident during the job interview because remember that you have nothing to lose and everything to gain. Exhibiting confidence will go a long way in telling the interview panel that you believe in yourself and can deliver results if employed. Practice well: Practice your body language in front of a mirror or in front of your trusted friend or your spouse and ask them about how you fared in terms of body language, voice, etc. Remember that Practice makes you Perfect. Dress properly: You should know how to dress for an interview. Dress formally and avoid gaudy shirts or trousers, avoid jeans or t-shirts because a decent formal dress code will leave good impression on your job interviewer/s. Never be late for a job interview: Whether you a stuck in a traffic jam or if you have to travel a long distance or for any reason, never be late for a job interview and punctuality adds to your professionalism. Sleep well the previous night: A good night's sleep can avoid stress and allows you to stay fresh and receptive to the interview questions. Know the basics well: Know the basics / fundamentals of the subjects related to your work experience. Keep up-to-date with the current technologies: Be aware of the latest technological developments since you need to at least give an impression that you are aware of the future emerging technologies.